SERVE McKinney — Crisis Response Ministry, Inc. 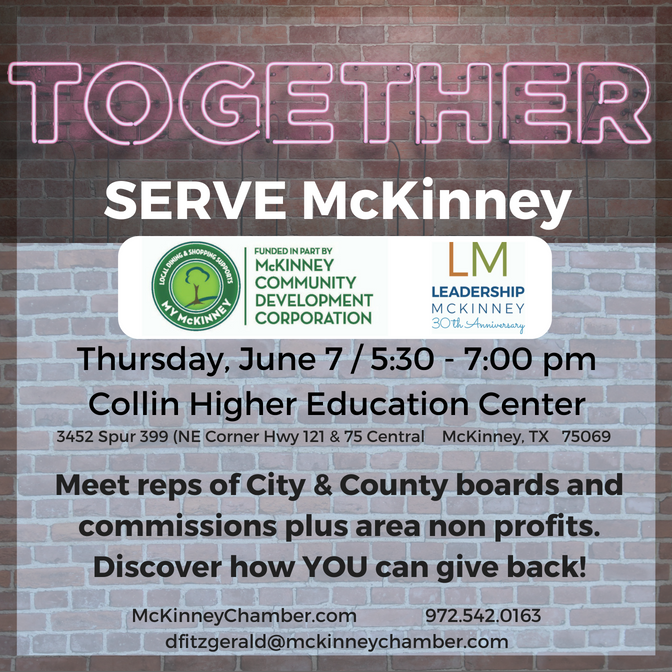 The Collin County Chapter of CRM is a member of the McKinney Chamber of Commerce and will be attending the SERVE McKinney Open House on Thursday, June 7th, 2018. This will be an opportunity to meet reps of city and county boards and commissions plus non profits. This is an opportunity for you to learn how you can give back.